Essie Honiball, Suid-Afrika se vrugte-en-groente-koningin. of Honiball's drawings at the US Arts Museum in 1986. Was a lecturer in physical and health education. Esther Maria Wiese was born on 12 April 1924 in Edenburg, Orange Free State. She matriculated at Orange Girl High School in Bloemfontein. 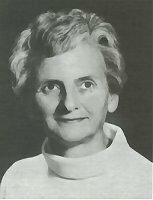 Essie studied Biology, Physical Education and Music at the Universities of Stellenbosch (BSc, Performers licentiate, piano) and the Orange Freestate. She went to Europe to continue the Physical Education studies in Holland, Denmark and London. After teaching at schools, she lectured at the Cape Town Training College and at the Pretoria Normal College. She also served as assistant head of the Elizabeth Conradie School for handycapped children. Sports: Junior Diving Champion, Oranje Freestate and senior diving champion, Western Province. In 1958, Essie was so ill from tuberculosis that hospital seemed to be the only solution for her. She found out about the healing of fruit by Cornelius Valkenburg de Villiers-Dreyer. Later she married Cornelius. He withdrew her from normal life and in her isolation she was transformed. Not only did she acquire a new body but also a new outlook on life and a new lifestyle. Away from society’s complexities, she found direction in life and made a new start. When she returned to her family and friends a year later, they could hardly believe their eyes. The person who had greeted them a year before had been a living wreck who had been deeply depressed. Now she was in excellent health, full of vitality, suntanned, full of the joys of life and looked ten years younger! In 1973 Essie was married to T.O. Honiball, who also started to live on the fruit diet. Essie initiated the Hokaai! movement with the help of Herma Loubsa, who established clubs in different regions. Members and friends meet every year in Bloemfontein for a week of relaxation, lectures and fruit diet in beautiful surroundings. 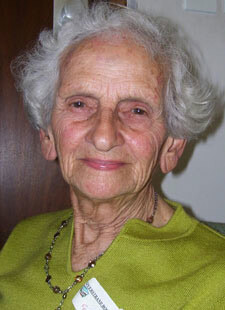 Essie Honiball died on 25 November 2013. Essie Honiball - Die ontwaking by Anoeschka von Meck. Essie Honiball sees her books as a conversation on the Eden way of eating: the fruit diet.